This document contains basic instructions for preparing your thesis for printing. IMPORTANT NOTE: Rensselaer's Office of Graduate Education offers graduate students a preparation guide which provides guidelines for writing and submitting a thesis, project, or dissertation. Please refer to this document for more complete thesis-related instructions. Rensselaer's current LaTeX thesis style sheets, templates, and macros were last updated for TeXLive 2007 and do not necessarily work for more recent versions of TeXLive. The thesis document class is used to produce either a master's or a doctoral thesis that meets the formatting requirments of the Graduate School. To use this class, first save the file thesis.cls on your computer and either put it in the same directory with the other .tex files that make up your thesis, or put it in LaTeX's normal input path in a subfolder called "thesis". For example, if you have the TeXLive 2007 TeX/LaTeX distribution, you would put it in C:\texmf-local\tex\latex\thesis\. With another distribution, you could check to see where other .cls and .sty files are located. If your thesis includes algorithms, you may be interested in the algorithm2e package, consisting of the two files algorithm2e.sty and algorithm2e.pdf(the manual). If not already on your system, you can download the files from the TeX archive website. For a short thesis (about 20-30 pages), use rpi-short.tex. This is set to produce a Master's thesis, but can be changed by un-commenting the title, as described in the file. For a longer thesis, you can use the rpithes.tex template below. This will typeset a Ph.D. thesis, but can be changed by including the rpititle-mas.tex file. Instructions on how to do this are included in the rpithes.tex file. You can also find all of these thesis-related files contained in the Zip archive. The ARC document Preparing a Thesis with LaTeX [PDF file, dated February 2008] provides instructions on how to use the RPI thesis document class and includes an example of using the templates. The documents rpithes-mas.pdf and rpithes-phd.pdf also provide examples of the recommended formatting for Master's and Doctoral theses, respectively. Please note that when you submit your thesis electronically, you will be asked for files in PDF format. Conversion from LaTeX to PDF is free and straightforward; please read the instructions in Creating a PDF File from a LaTeX Thesis. Also note that, although the RPI thesis class produces an acceptable format, you should be familiar with the regulations on thesis preparation prepared by the Office of Graduate Education. If you are not familiar with LaTeX, the ARC introductory document, Text Formatting with LaTeX (dated April 2009), will get you started. You might also want to go through the on-line course materials. 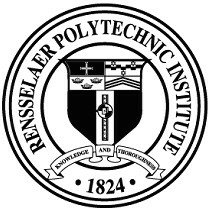 At Rensselaer, Academic and Research Computing provides a Microsoft Word template designed to produce either a master's or a doctoral thesis that meets the formatting requirements of the Graduate School. To get started, first download the Microsoft Word Template file. Next, read the style instructions. Among other things, the Rensselaer Microsoft Word thesis template provides a collection of styles, where a style refers to a set of formatting instructions that can be applied to text. For example, the template includes the styles you need to produce numbered headings, automatically create the table of contents and the table of figures, etc. You must remember to use the styles and apply them consistently! The following documents provide instructions for using styles, inserting tables, figures, cross references and notes; it also describes how to assemble the thesis from multiple chapter files and build the table of contents. Please also note that the Office of Graduate Education has prepared specific guidelines for the formatting and layout of your thesis. Although the RPI MSWord template produces an acceptable format, you should be familiar with the OGE Preparation Manual for Theses and Dissertations.